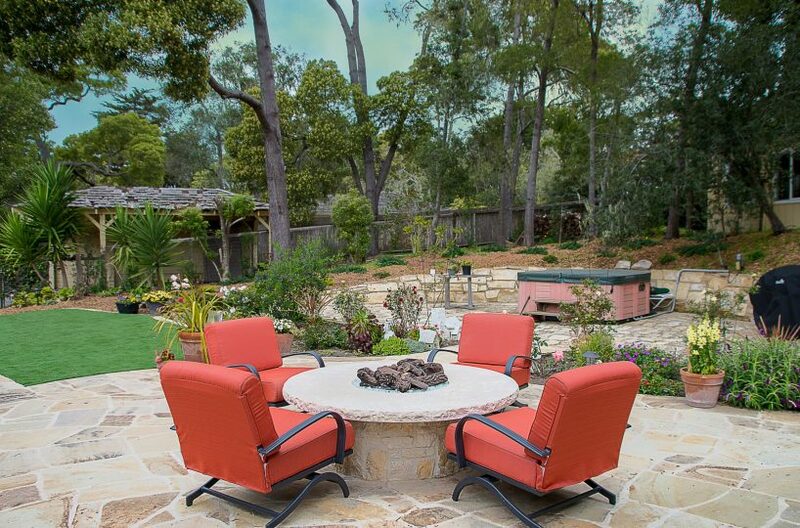 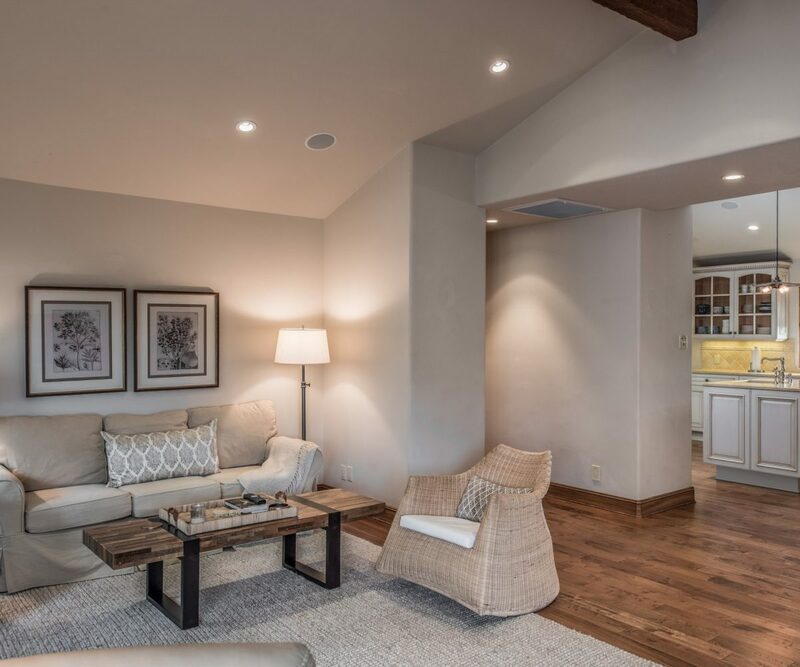 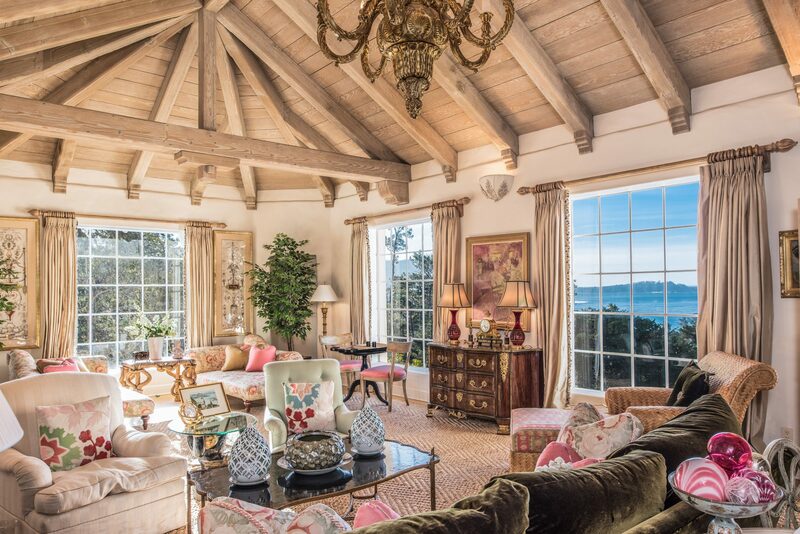 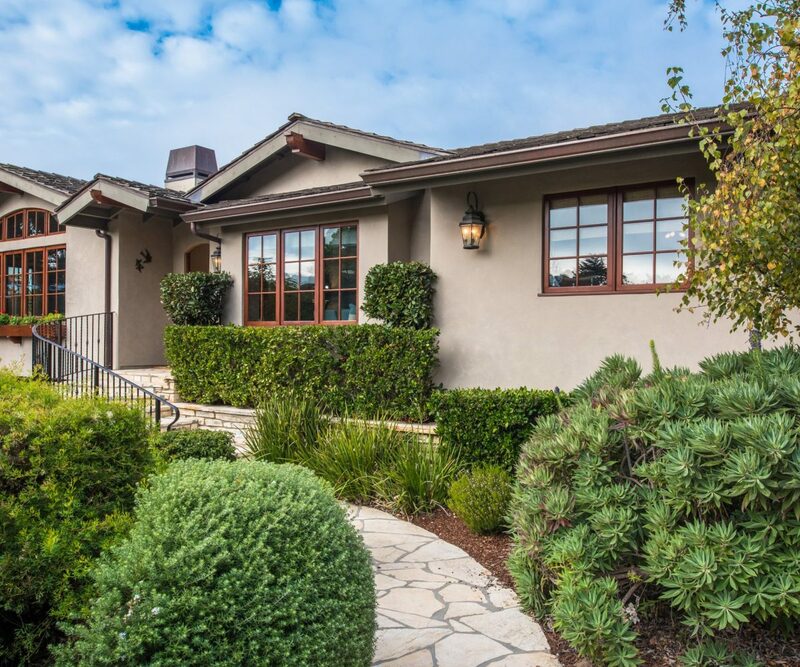 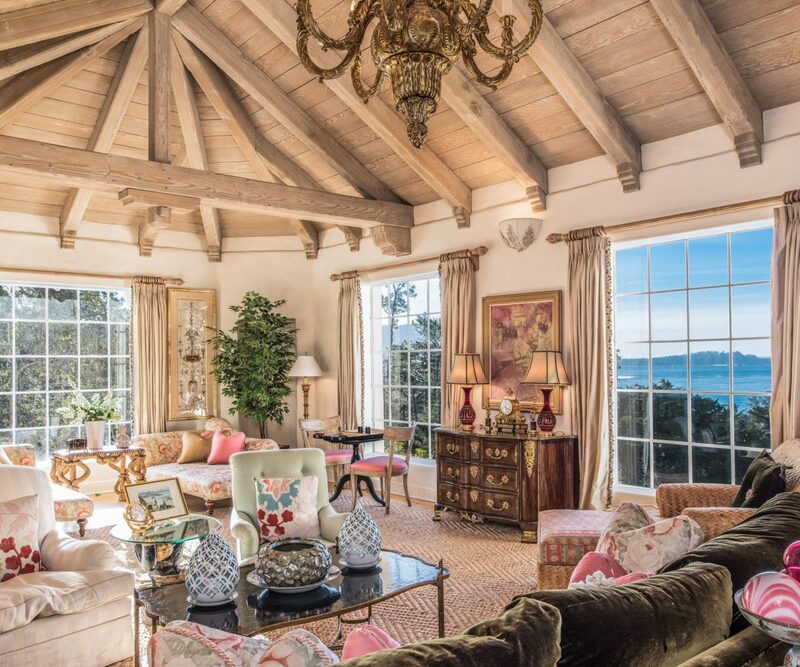 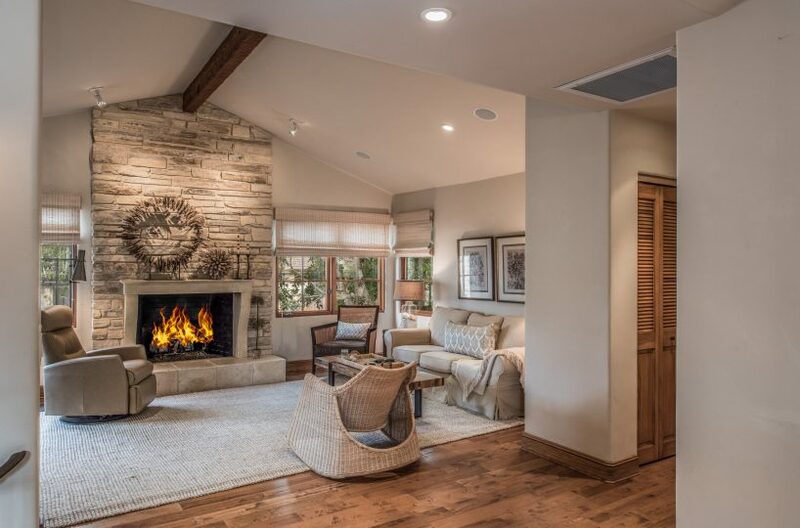 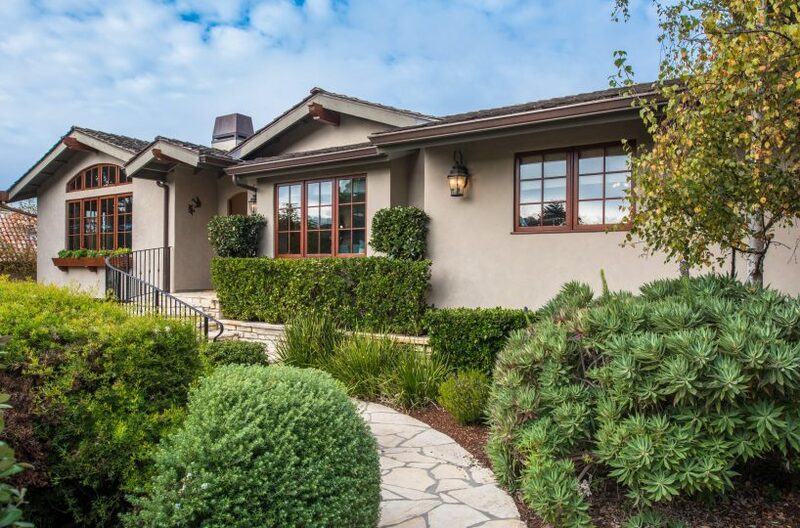 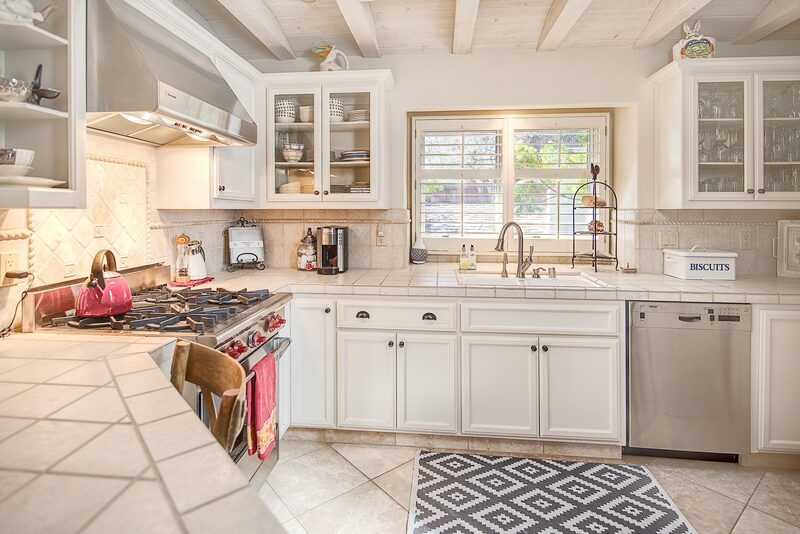 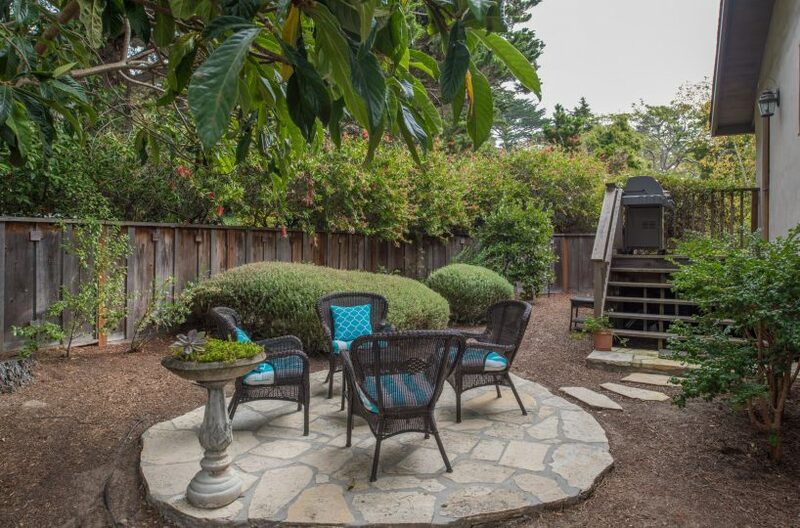 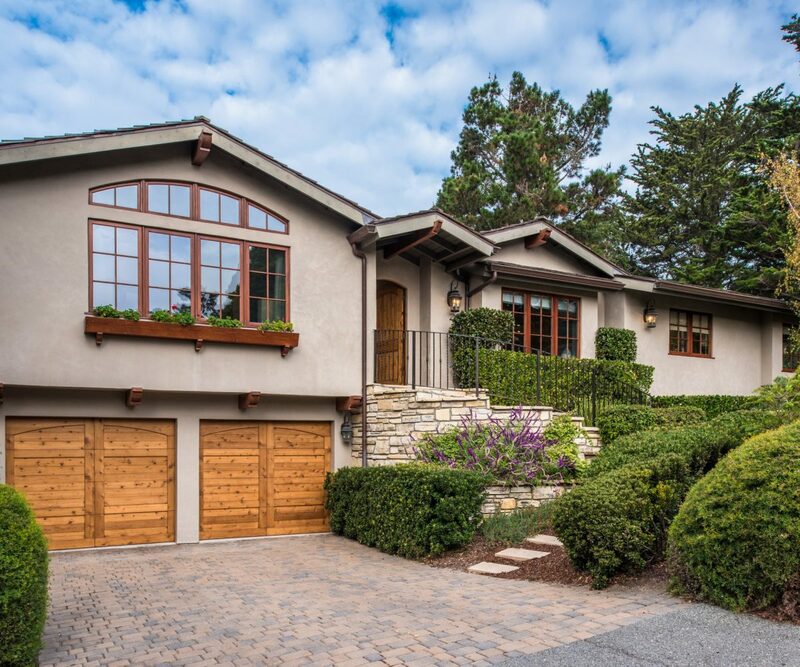 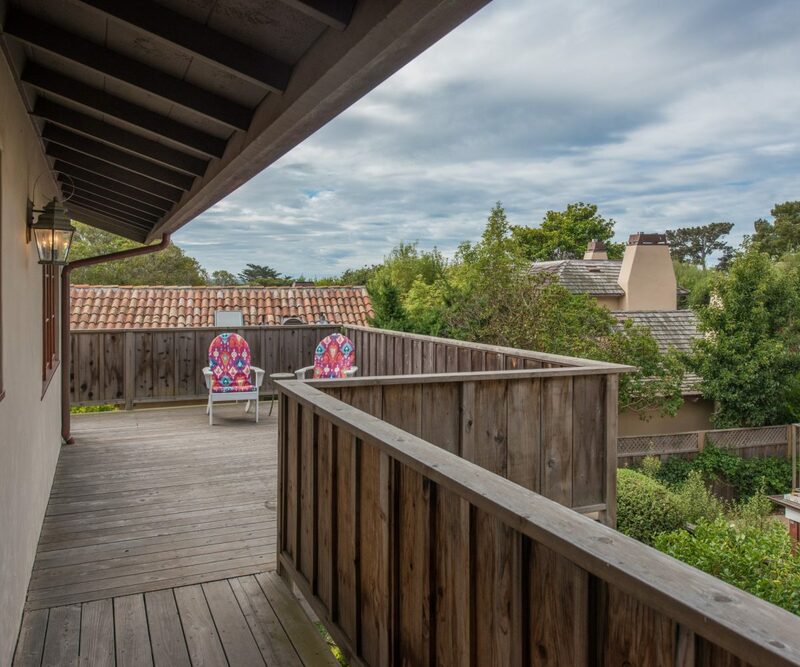 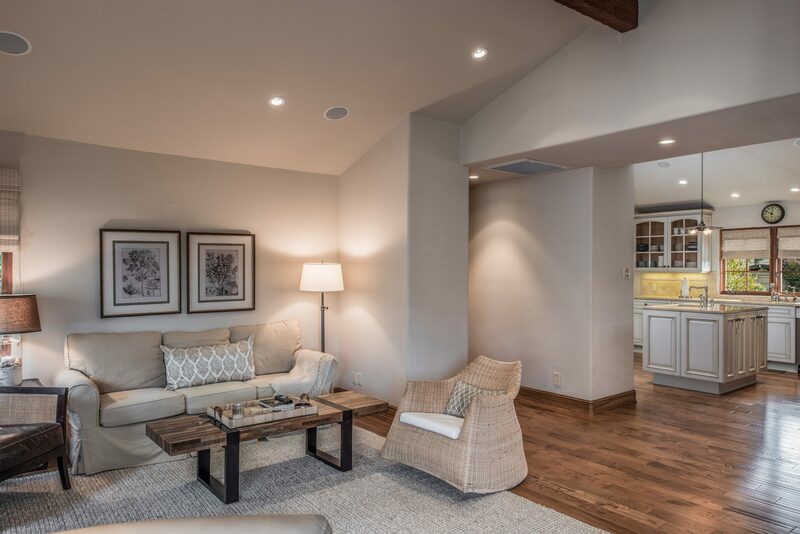 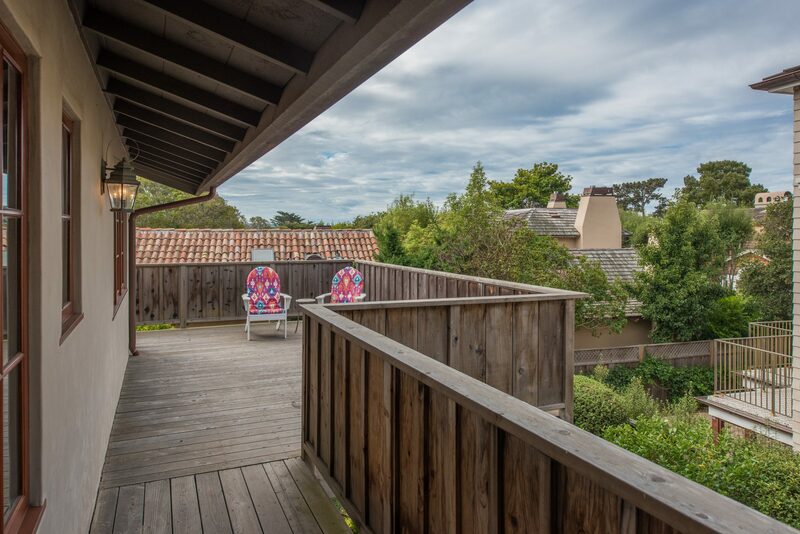 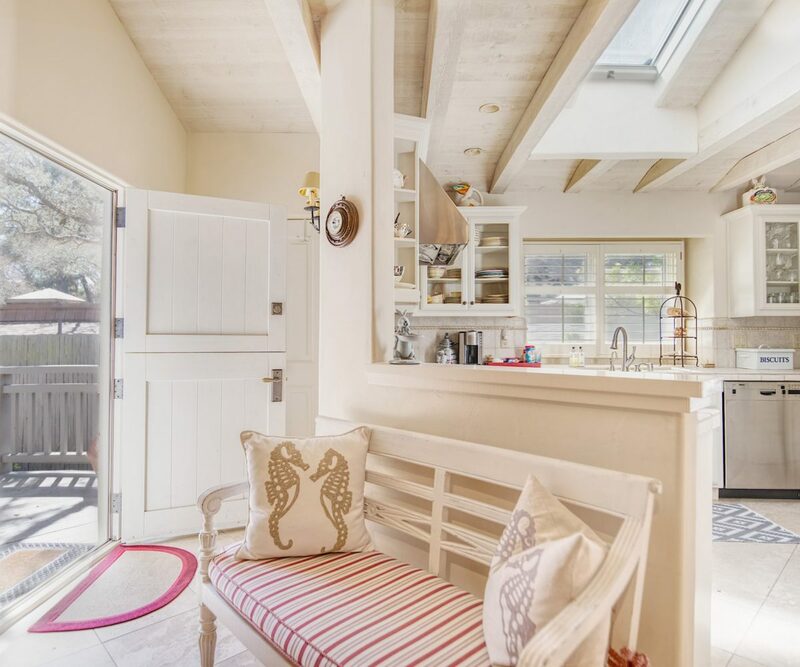 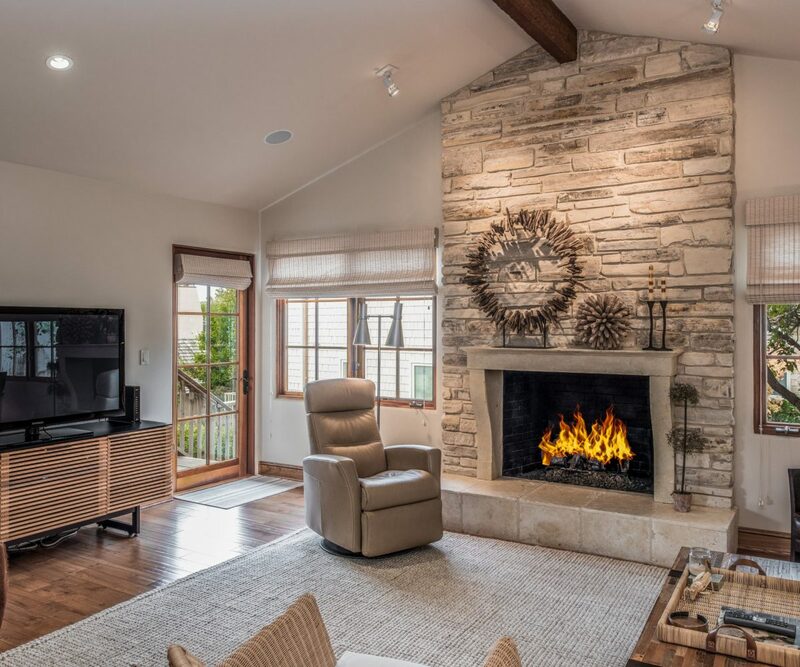 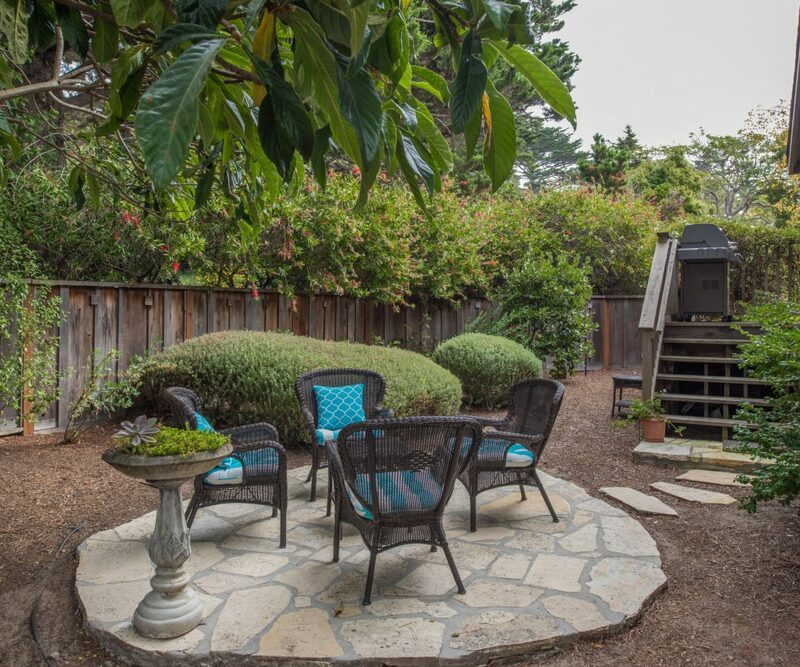 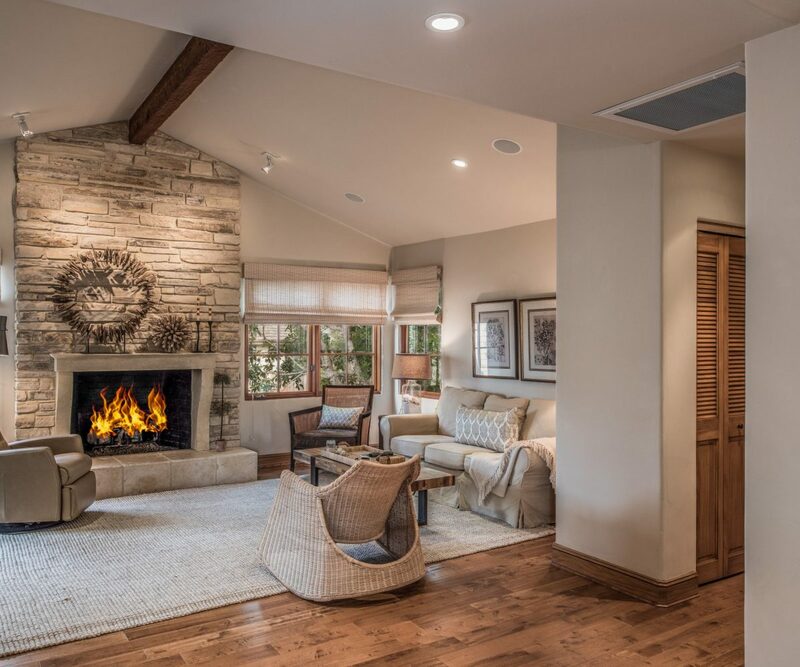 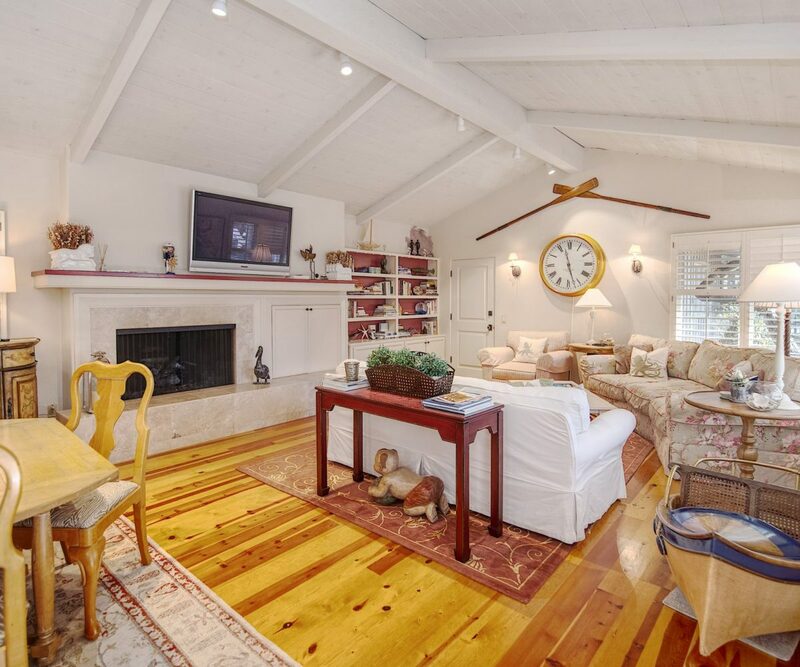 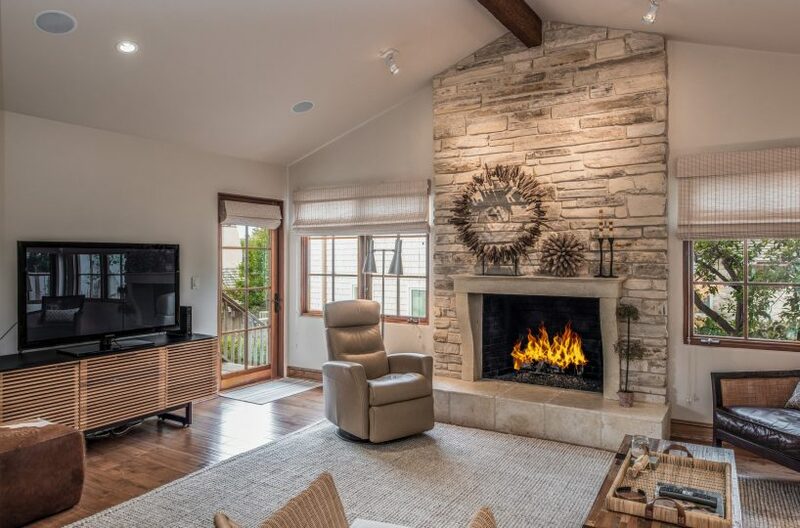 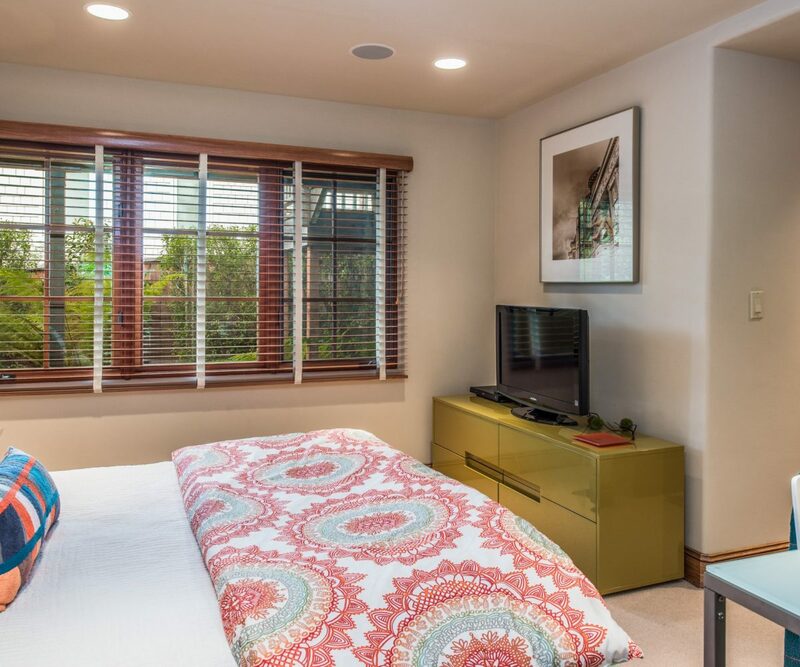 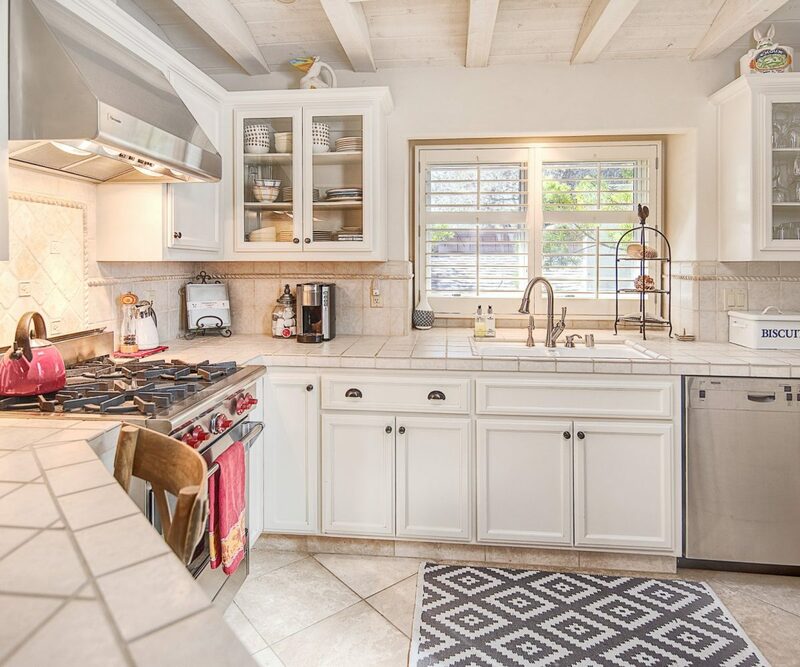 Located on Carmel Pt… just south of Santa Lucia this home is situated near all of the Carmel Beaches and easy access to downtown. 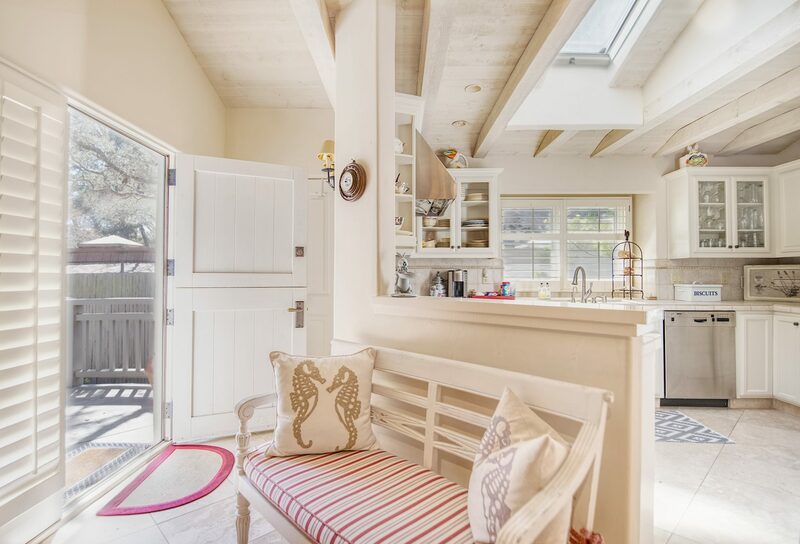 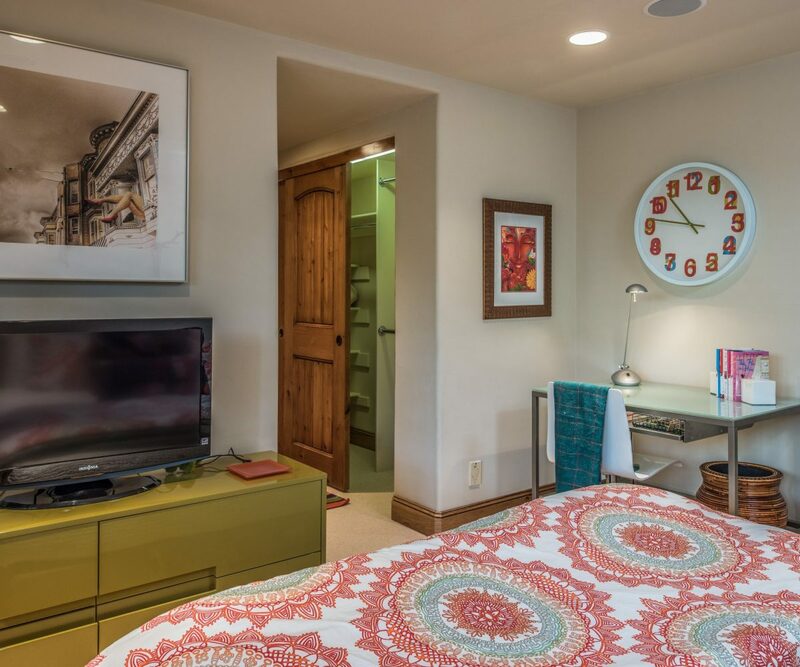 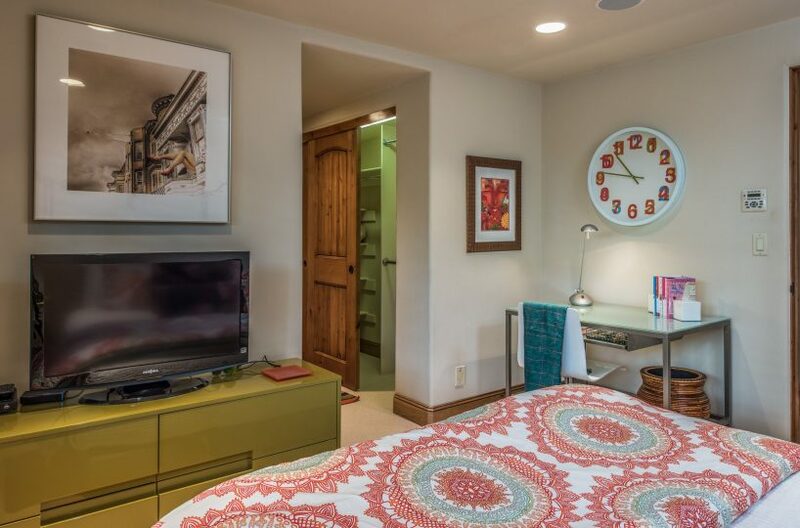 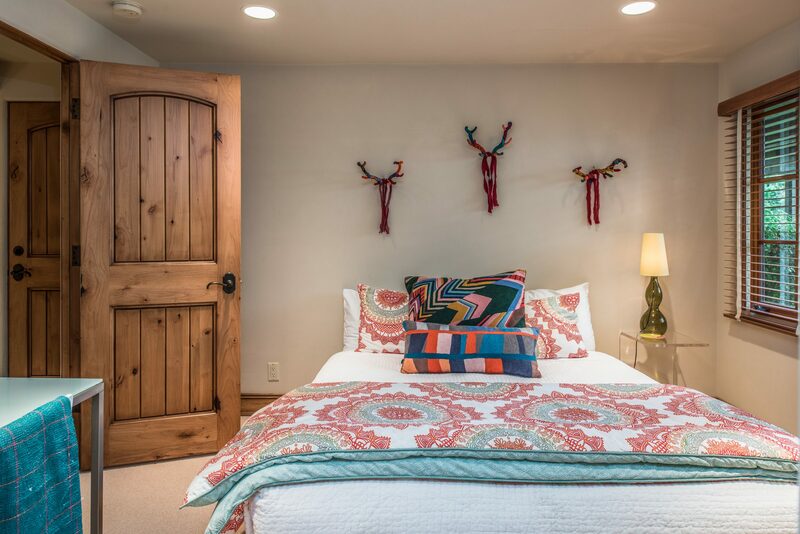 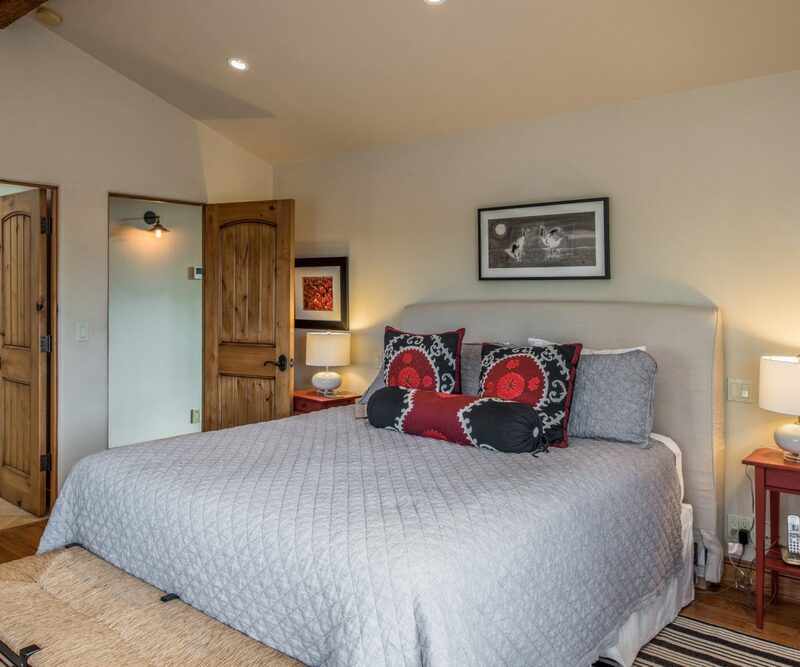 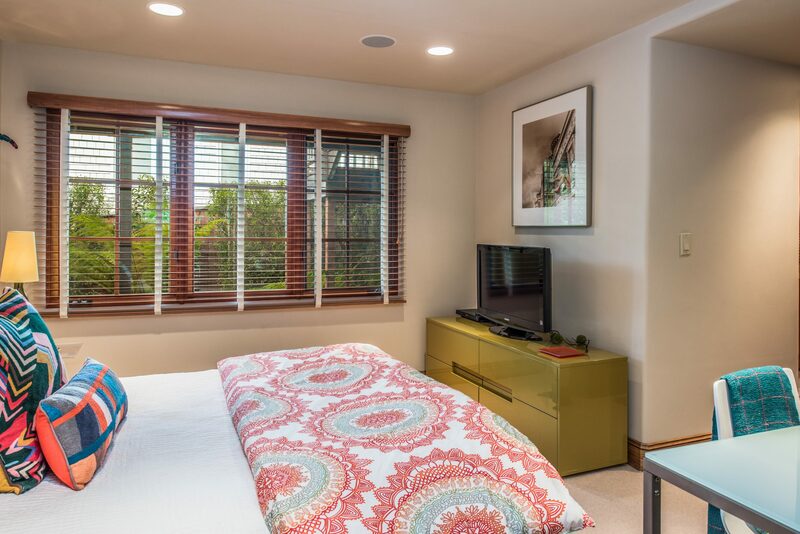 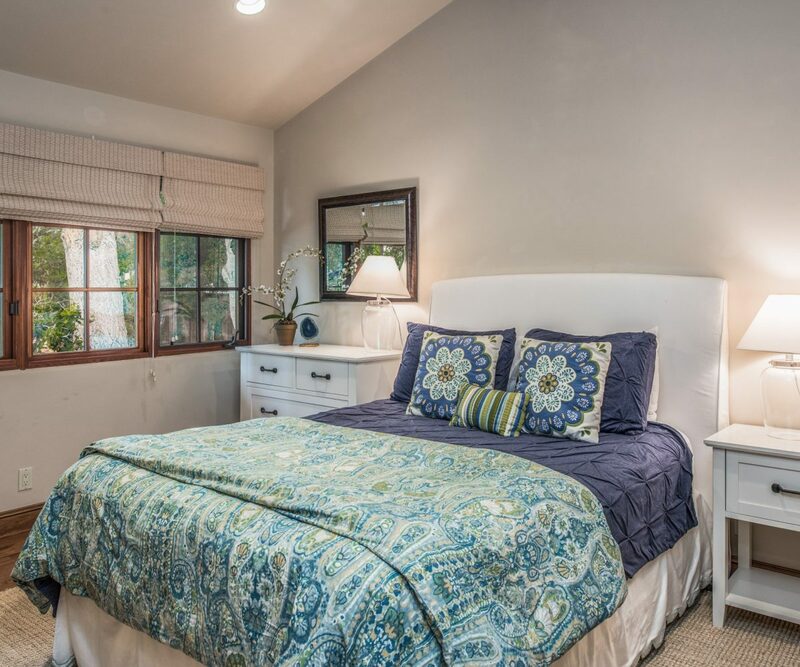 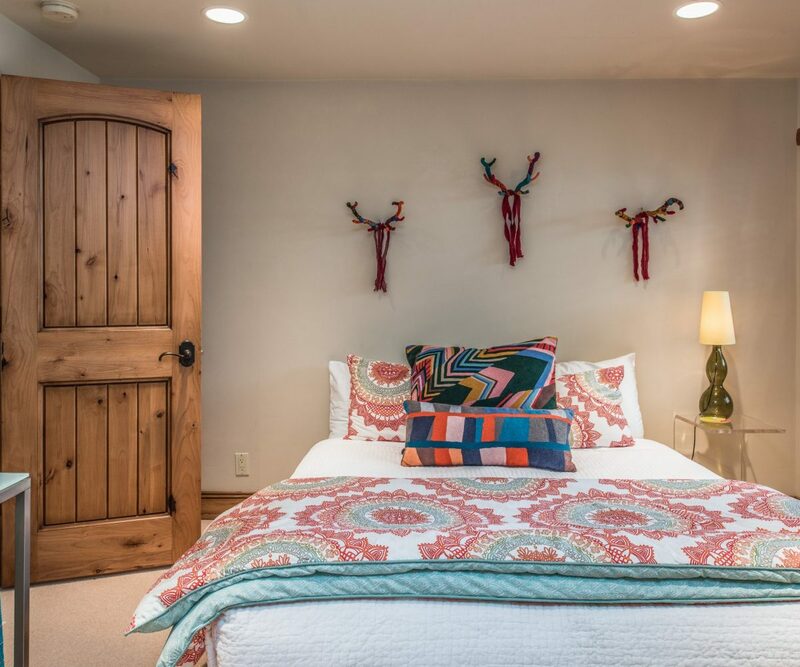 This home has great style and personality and is the perfect vacation rental with its ease of living. 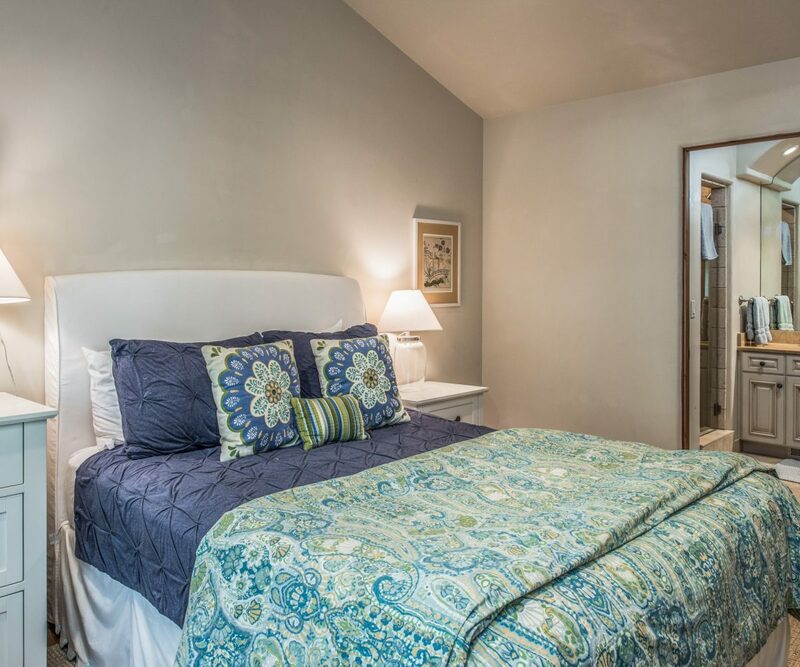 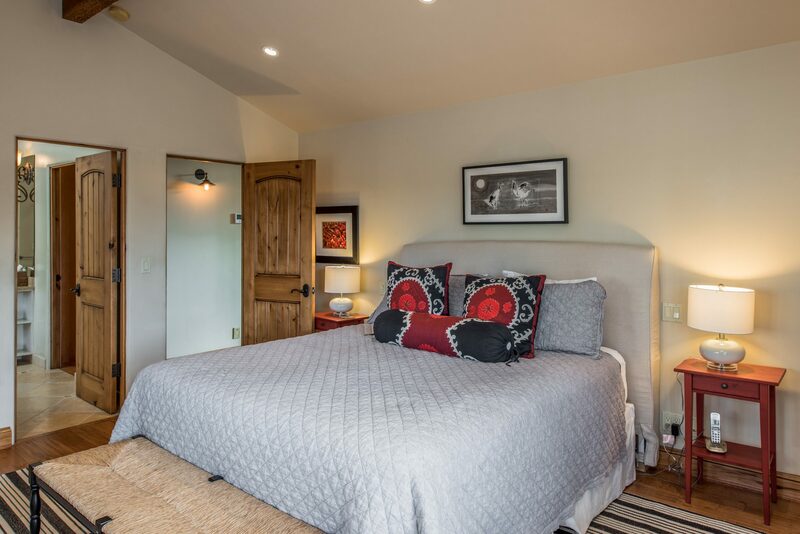 Well designed and spacious rooms with open beam ceilings let in lots of light and warmth to this charming spotless home. 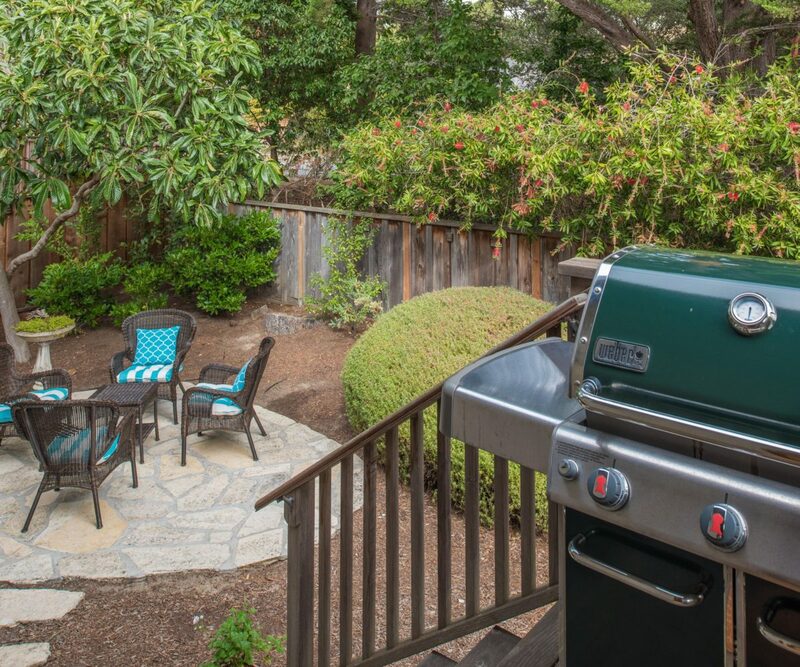 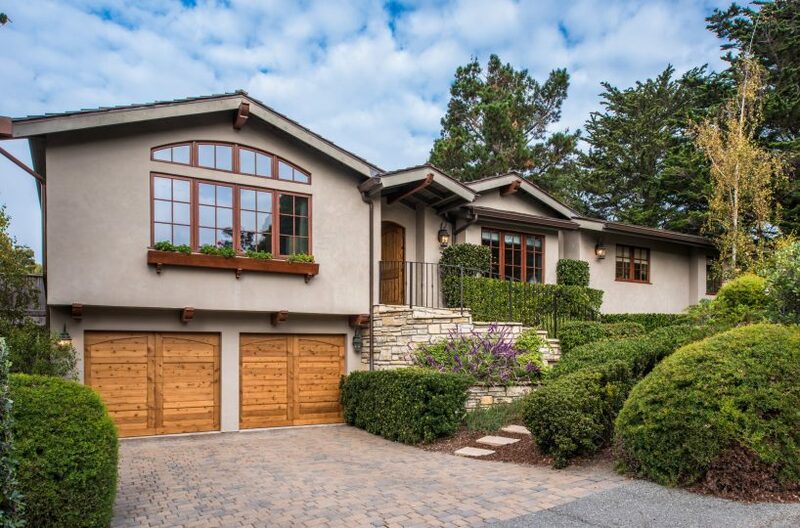 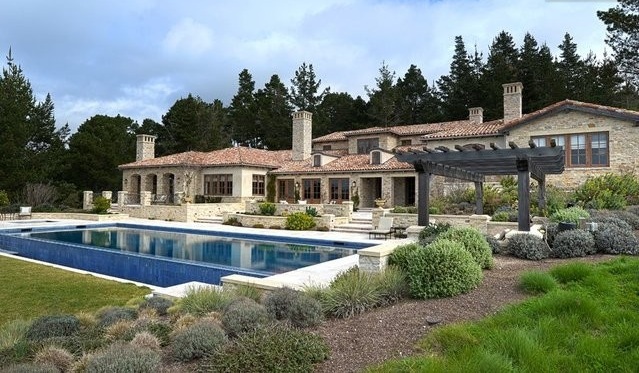 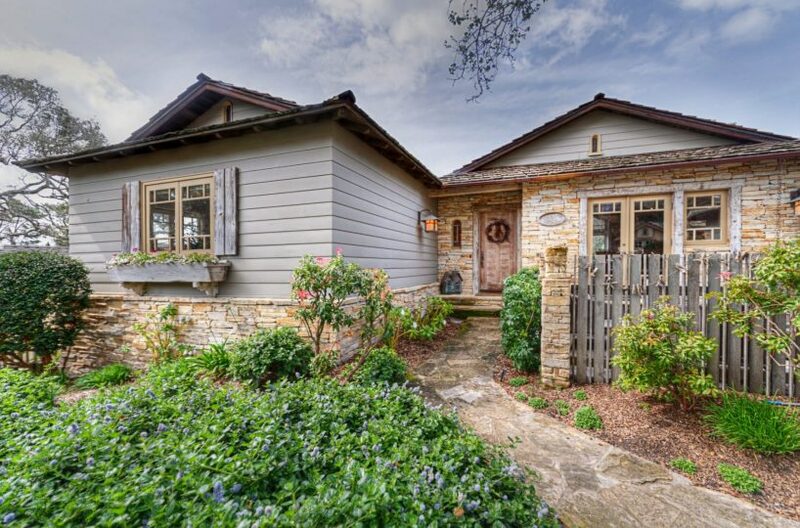 Updated style with many upgraded features and a bonus full 2 car garage… a real Carmel rarity. 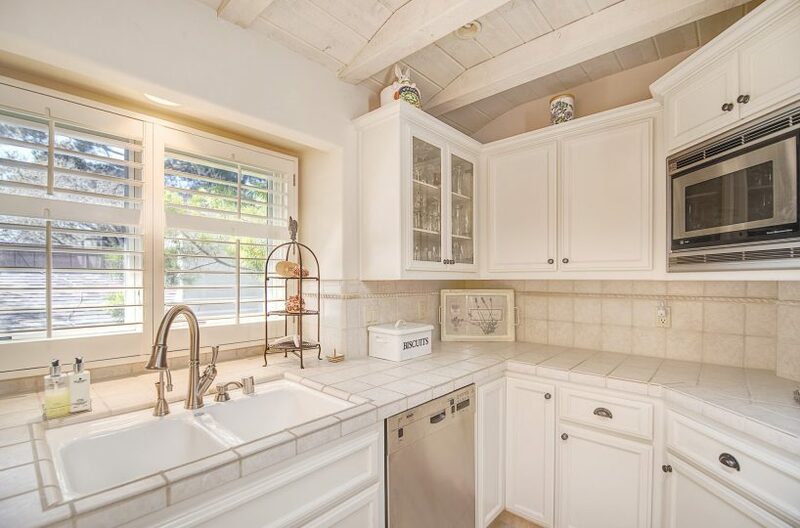 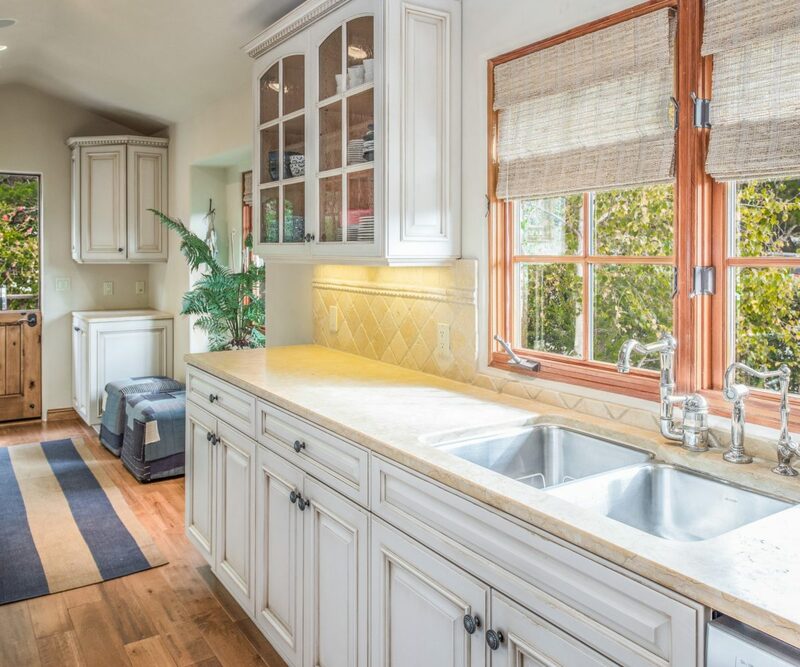 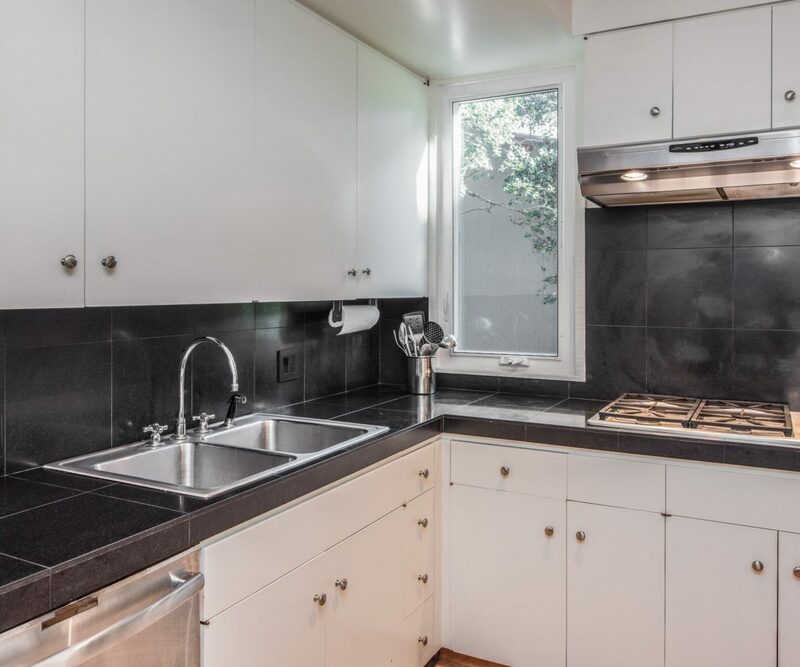 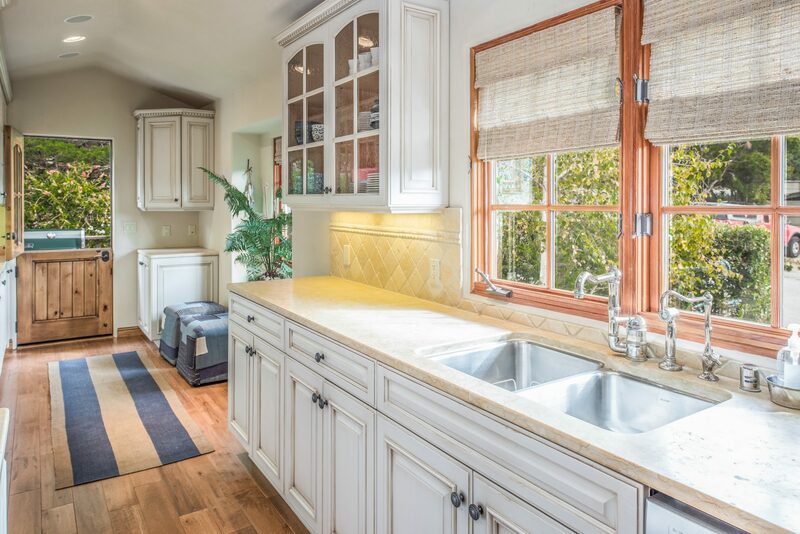 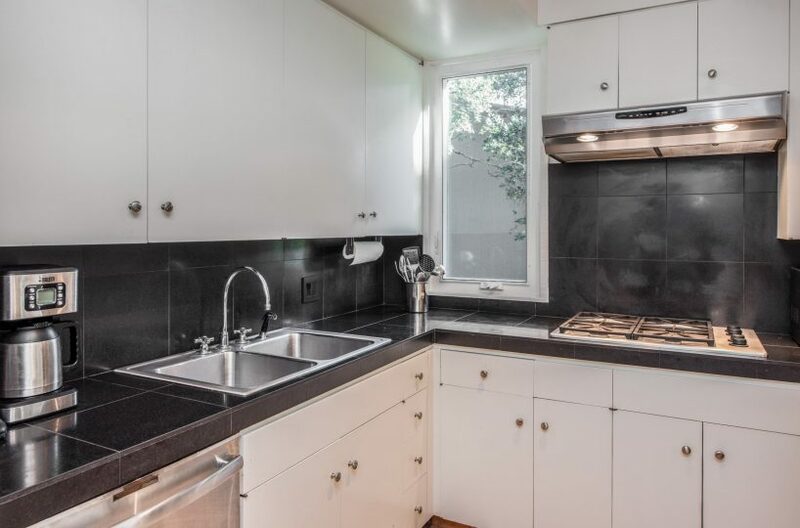 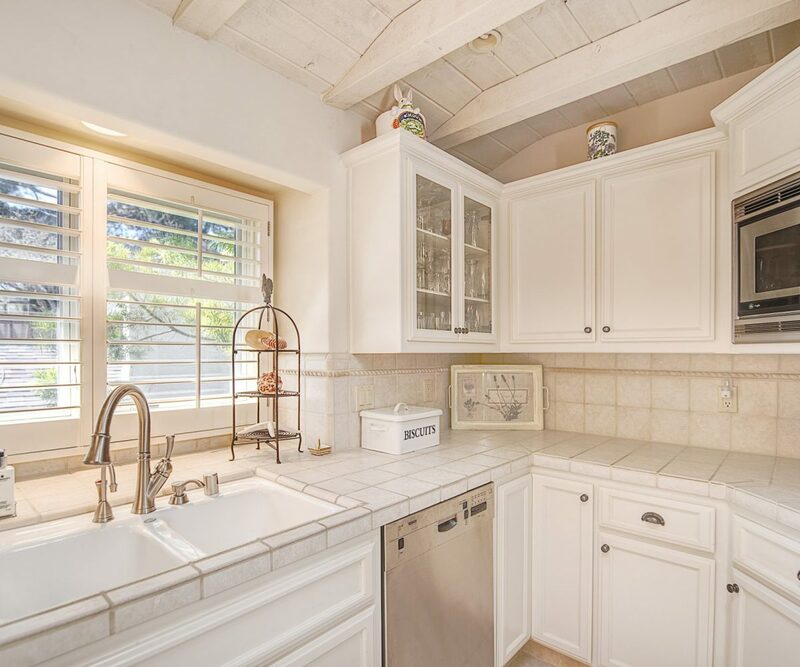 Large kitchen with center island and professional appliances are just some of the amenities. 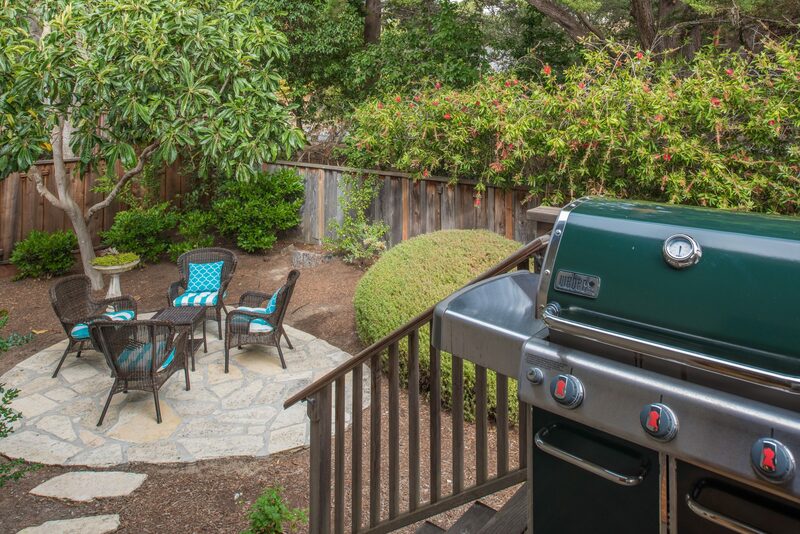 Side area with outside seating and BBQ conveniently located to the kitchen for ease of cooking and entertaining. 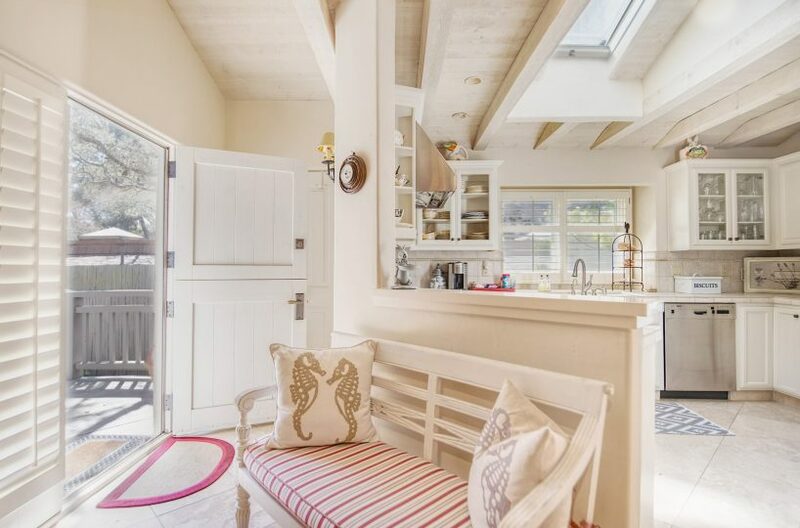 Separate casual dining area. 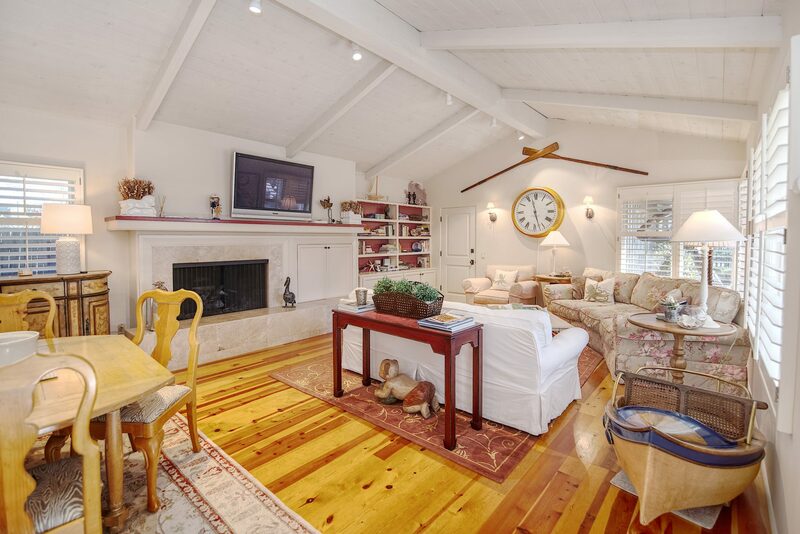 Formal living room for quiet enjoyment and a nice open family/TV room within reach of the kitchen make it a wonderful family home. 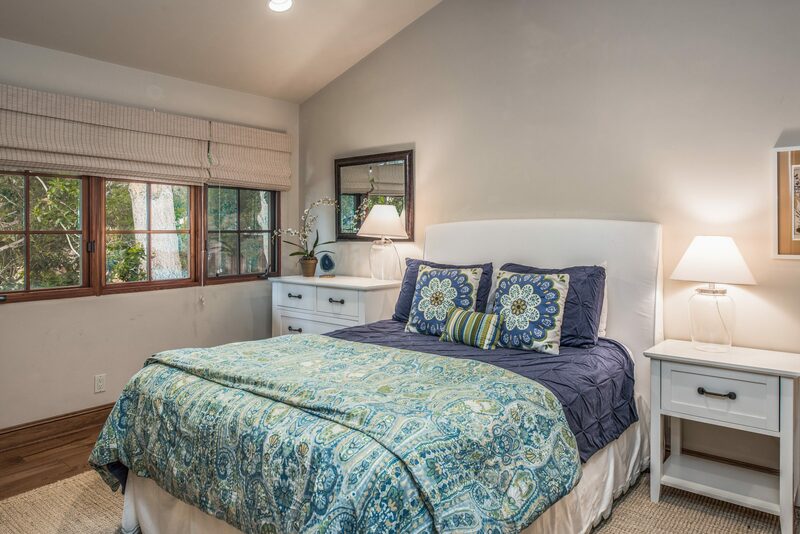 The master suite has french doors that open on to the rear deck area. 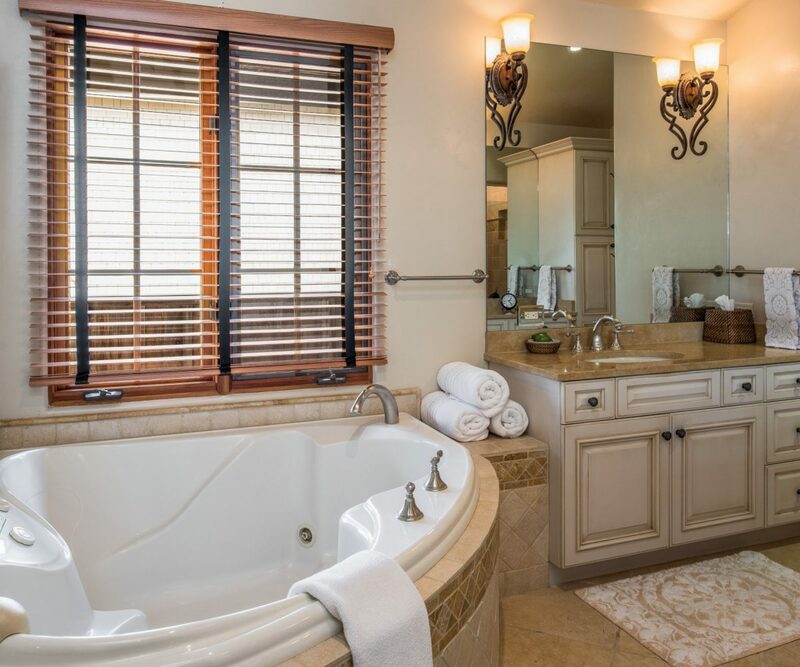 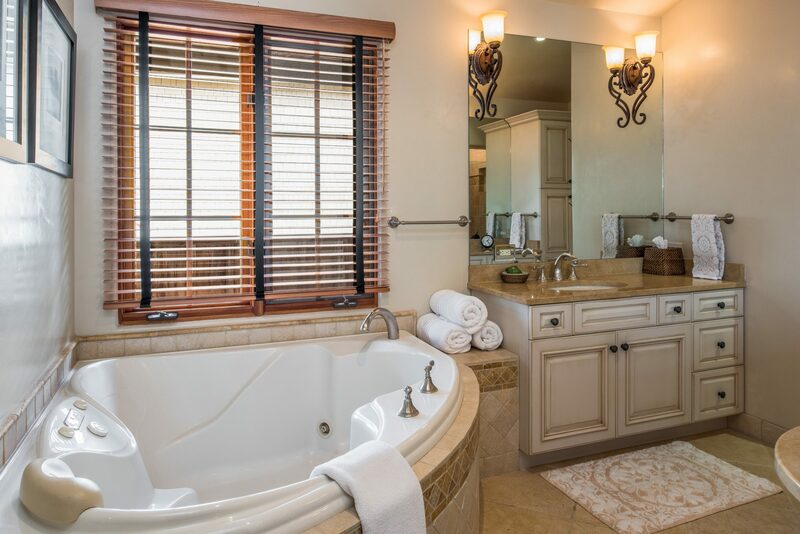 Large master bath with separate shower and inviting soaking bath. There is also a large walk-in closet so you can stay as long as you like… with lots of space to keep your personal style. King Master, Queen guest and 3rd room can be used as a king, Twins or office space… with its own bath. 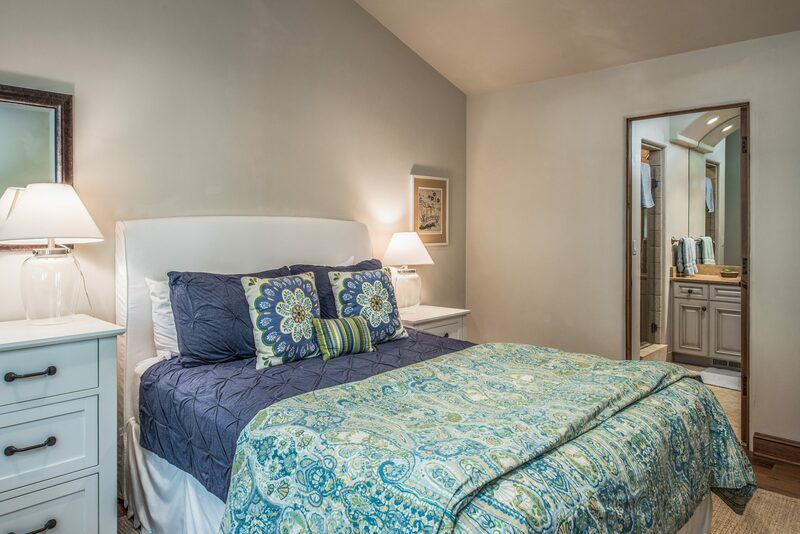 Flat screen TV’s , WIFI, available weekly or monthly.